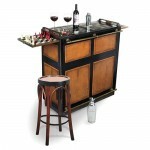 Casablanca Bar Black (P/N MF047B). The smell of leather, the intoxicating feel of rich wood, and the warm glow of subdued lighting creates an atmosphere of imagination. 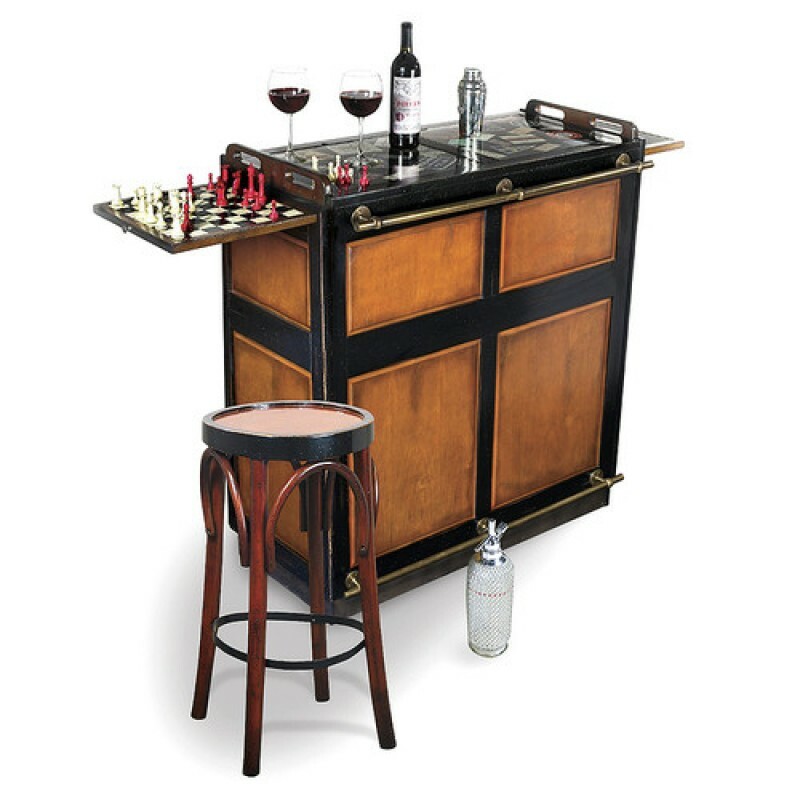 Recreate in this miniature version of Harry's Bar in Singapore, with its long expanse of polished mahogany, brass rails and signature cocktails, or act out that secret urge to be a bartender at Rick's Cafe in Casablanca. 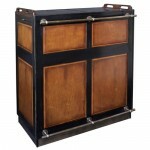 The black distressed wood finish is accented with brass elbow and foot bars. 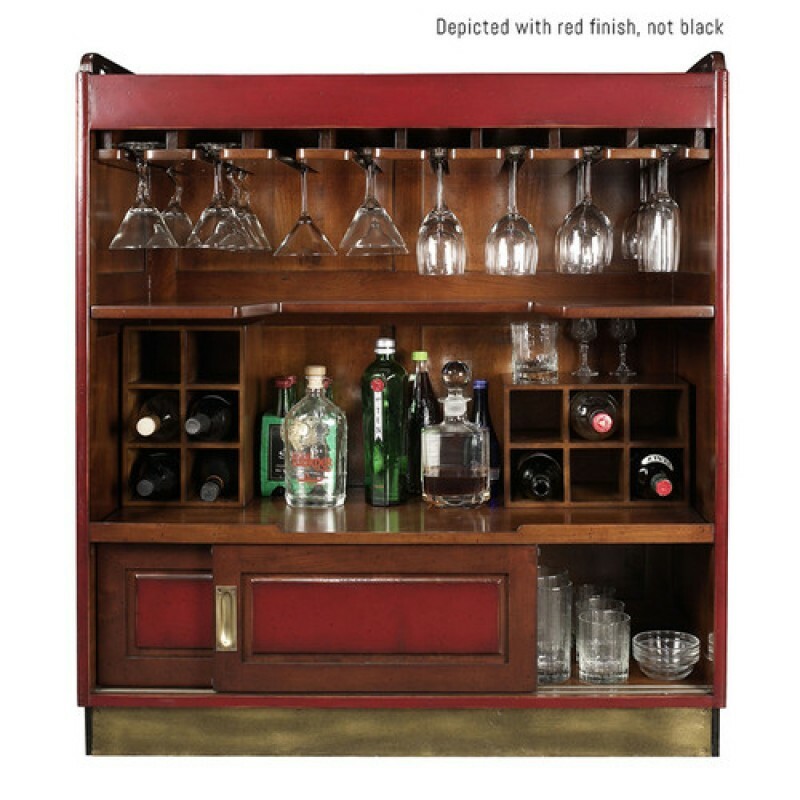 Wheel out this upscale serving station, pull up to 21 bottles from the storage nooks and drawers, 16 glasses from the stemware rack, break ice, and shake but do not stir. 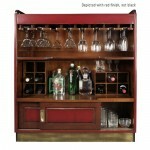 This streamlined yet unobtrusive wine bar is easy to put away or roll into the center of the action. For quieter evenings, the bar offers extendable game boards for poker and chess, with bar top inset glass to display photos, menus or momentos. Create your own private club atmosphere while showing off momentos from your latest voyage autour du monde with this sumptuous mobile bar.